Introduction Following the withdrawal of Contax reflex cameras from the market, Zeiss, as lens developer to the system, re-established production in Japan by modifying some of the previous optical designs to fit Pentax, Nikon and Canon models. Today the line consists of 13 models with the Sonnar T* 2/135&nbsp; (135mm f2.0) being the latest addition (not counting the new Otus range) though the firm now only supplies models in Canon or Nikon mount.&nbsp;This newly designed high speed ‘Apo’ model has 11-elements arranged in 8-groups and features a ‘floating elements’ design for improved sharpness at close range. Two years after the launch of the first lens in its highly-respected Art line, Sigma has finally added a 85mm f/1.4 model. 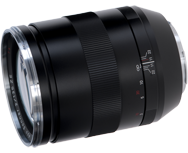 In case you’re unfamiliar with Sigma’s Global Vision, the Art primes are the company’s high-speed f/1.4 models that have have been developed to compete in image quality with the very best lenses from Canon and Nikon, and can even give legendary lens maker Zeiss a run for its money. Our technicians have tested no fewer than 130 lenses on Canon’s 50.6Mp EOS 5DS R Digital SLR. With the results for both prime and zoom lenses covering a diverse range of focal lengths, we’ve got all the data you need for picking out the right lens. In Part 1 of our three-part review, we bring you the analyzed and verified scores for standard zoom lenses as well as 35mm, 50mm and 85mm primes on the Canon EOS 5DS R.
In the first part of our comprehensive lens recommendations for the new entry-level Canon EOS Rebel T5 / 1200D, we’ve assessed a raft of primes from both the maker and third parties to see how well they perform on the camera. As well as highlighting the best performers we’ve also taken a closer look at the best on a budget.